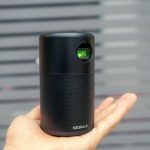 Another interesting projector from Anker, this is the Nebula Capsule. Nebula Labs called for capital back in September 2017 and now they have delivered it to the buyer, which costs $349 on Amazon. 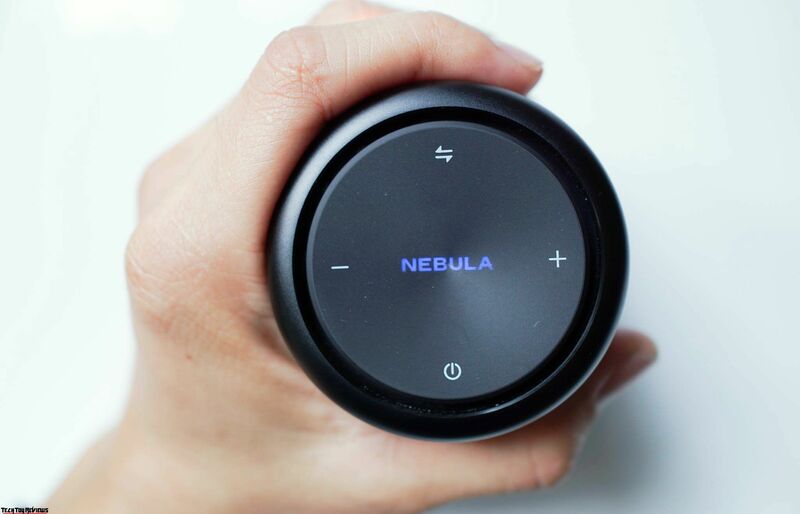 So what is Anker Nebula Capsule? Let’s find out in this quick review. Nebula Capsule is much more compact than Nebula Mars was launched back in July 2017, priced at $598. 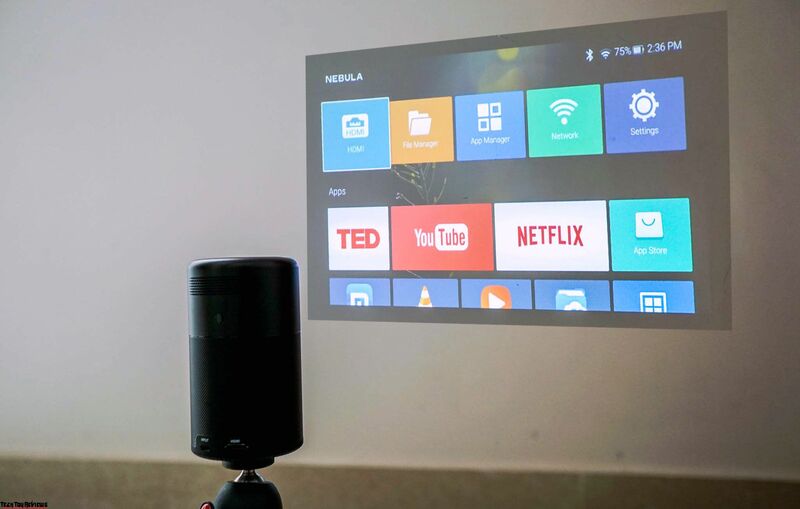 The Anker projector size is just similar to any beer or soda teen can, it’s for the most mobile-like, best for outdoor, camping and so on. 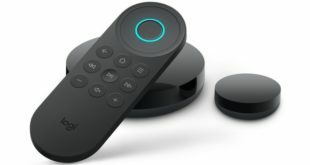 You can watch movies continuously for up to 4 hours, or transfer it to portable speaker mode for 30 hours of music playback. 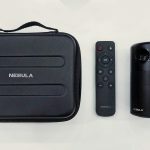 As you can see, Anker Nebula Capsule has a very compact design and said it was the smallest, but it is not because there are also few Pico projectors available in the market with a far smaller size, but honestly, the quality stuff provided by Anker they do not have. 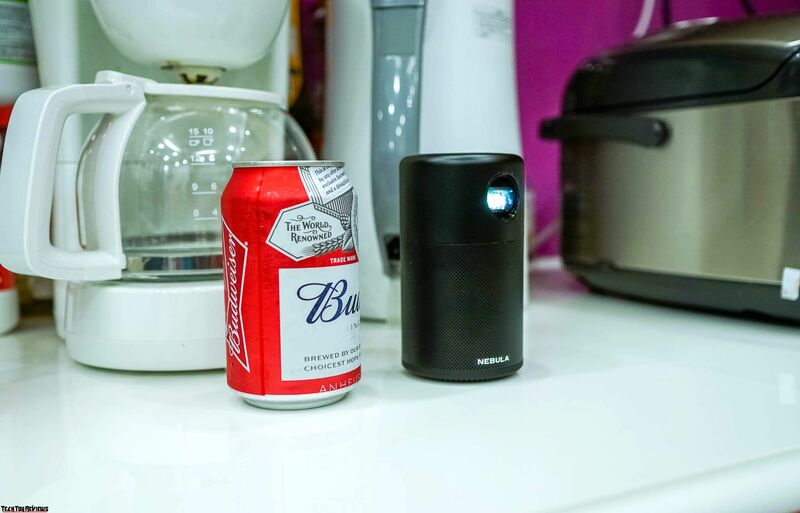 In this beer can housing is a DLP projector, lamp life is about 30 thousand hours, real resolution is 854×480 pixels, but also supports FHD (1920×1080 pixels) film projection. 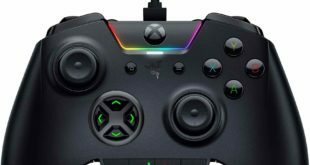 On the back of this device is the infrared port to use the remote, HDMI port, Micro USB port for charging or plugging, and USB plugs. 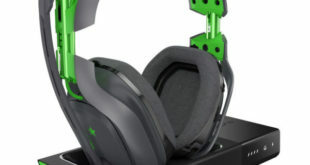 There are also tiny holes to release heat, the fan is cool and is also quiet. 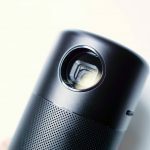 The projector also has the speaker grille, the knob to adjust the focus, easy to twist, but the rotation is quite short when the focus is too fast. The DLP light life is about 30,000 hours, if you watch 4 hours every day, after 20 years the device will lose the light. 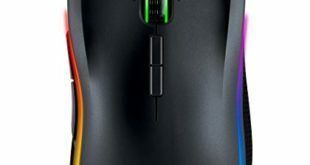 The top of the device has a power button, switch the projection/speaker mode, and the volume down button. Inside the box, we have a projector, power adapter, manual, remote, charging cable, and OTG cable. To turn on it, you can press and hold down the power button. If the projection size is about 15 inches, and the day is bright, you can still use it in the daylight conditions in the room. You should also use about 20-30 inch projection in the room at daylight to have good brightness, if off lights and pull the curtains, the projection size is 40 inches still look okay. If you want to maximize the size of 100-inches it should be at night and turn off lights for the best experience. It comes with a remote control can be used as a mouse or press button. When you turn on the default switch to the broadcast mode, press the switch button, it will switch to the speaker. The 360-degree loudspeaker sounds good, the sound is mostly mid and high, the bass is only transient, just enough to hear the beat. When switching the speaker mode, any phone with Bluetooth is able to turn into the music player. 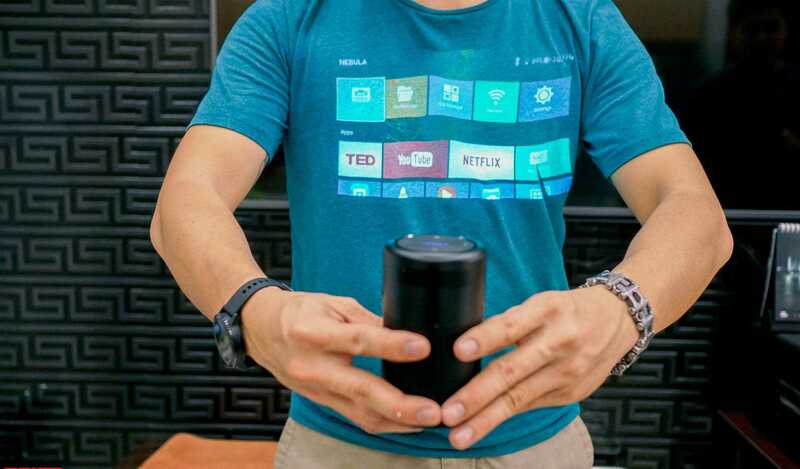 We like the design of the Anker Nebula Capsule, small, compact, it runs Android 7.1 Nougat OS which is fantastic, so it has the ability to install more applications from the store. For the quality of the projector, it has a brightness of 100 ANSI lumens, if you know how to use it then it can still be used for daylight in the room, but to feel the real screen experience, the night is the best time. The picture can be played anywhere, which is quite interesting, this fun can compensate for the downside of real resolution is 480P (it can also display Full HD movie). Imagine going to the camping with friends, you can put this one in your bag, watch movies or play games anywhere, really fun! You can also wear a white shirt and project the movie on it at night to impress your girlfriend this Valentine.